A message from Raed Al Saleh of Syria Civil Defence, AKA The White Helmets. By the time you go to bed, more than 40 barrel bombs will have been dropped today from regime helicopters, submerging entire families into the rubble of their homes. Trapped in darkness, people have one hope: that the White Helmets will find them and dig them out. My name is Raed Al Saleh and I am head of the Syria Civil Defence - or the White Helmets as we’re also known. Our 2,697 volunteer rescue workers have saved more than 21,967 lives. We face bombs, chemical attacks and sniper fire to reach people caught in the violence and bring them to safety. Despite the risks, we go in always. Yet I know that if one of the volunteers is critically injured during a rescue operation, there is no money to pay for medical care. We have volunteers who right now still need surgery. A night in the intensive care unit is $300. Surgery can cost between $300-$5,000. These life-saving measures are out of our grasp. I’m asking for your help to change this. If you and others around you contribute what you can, we can build a Hero Fund to get wounded White Helmets back on their feet. We can build a safety net so every volunteer knows that their hospital bills are covered should they get hurt. And if a White Helmet dies while saving others, I can make sure the families of our fallen heroes will not struggle to survive. Please give what you can to make this Hero Fund a possibility. Our brave men and women give everything. 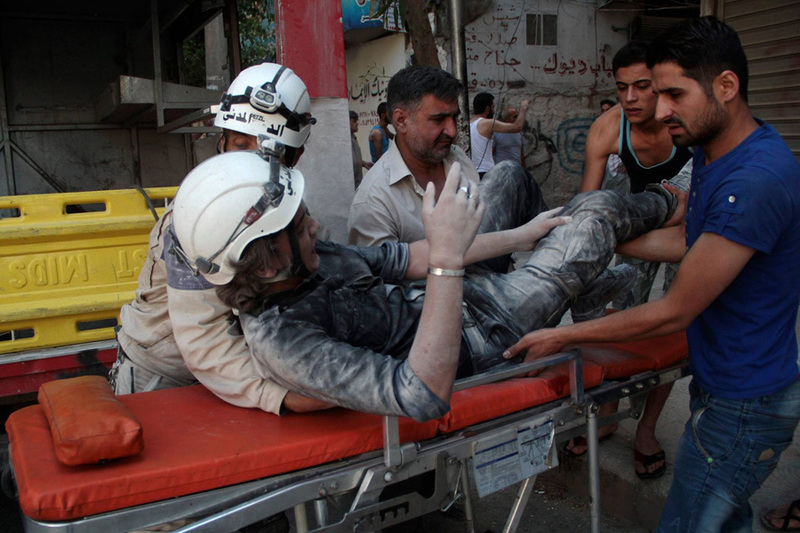 The White Helmets have the highest fatality rate of any job in the world - and it’s gotten even more dangerous. Because of the lives we’ve saved, we are now a target. The Syrian regime’s helicopters wait until we rush to a bombing site to help the victims, then they come back to drop another barrel. 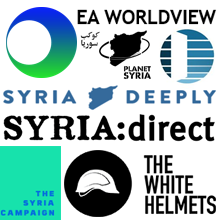 92 White Helmets have been killed - most of them in these “double-tap” strikes. Just last week two ambulances were destroyed by the regime in Idlib. Six civil defence volunteers were wounded. Thankfully, all survived. Last week I travelled to New York to ask the UN Security Council to tell me what they were going to do to enforce their promises to stop the bombs - they had no answer for me. This is why for Syrians they have become the Insecurity Council. We have lost faith in them in many ways, although we continue to make appeals to awaken their conscience. Whilst world leaders fail us, we have been humbled by the support of people like you around the world. 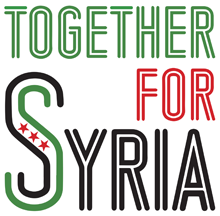 People who share our vision of a Syria free from bombs. Now I ask you to stand with us again. We cannot build this fund to treat wounded volunteers and support the families of the fallen without you. Most White Helmet volunteers are young men and women from all walks of life who never expected to be digging their neighbours from the rubble of bombings. They were flower sellers, teachers and students who joined the White Helmets as a way of resisting hopelessness. As well as helping wounded White Helmets get back on their feet, your support for the Hero Fund will let these volunteers know that someone is still listening and people around the world still care. Via The Syria Campaign. Also on Facebook and Twitter.